Large Wooden Sand and Water Table with Lid 46x17"
Sand and Water Tables offer a variety of creative activities for kindergarten or elementary-school students. Need an extra activity table for group work? Just put the lid on and this table can be used as a regular work surface. Wooden Sand and Water Tables make learning and exploration fun. Stimulate young hands, fingers and minds by filling these activity tables with sensory materials such as rice, sand, water or cereal. These water-play tables are durably constructed and intelligently designed. The plastic liner trays hold materials securely and are easy to empty. 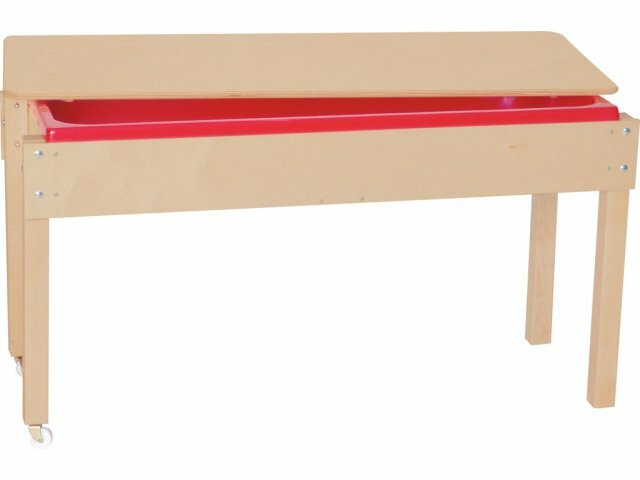 These sensory tables are made from 100% Birch plywood with rounded, sanded corners for maximum safety. Mortise, glue and steel pin construction keeps them standing strong. Their safe and attractive design makes them appropriate for children of many ages. These sand and water tables will make an exciting addition to any activity room, daycare, preschool or elementary school. 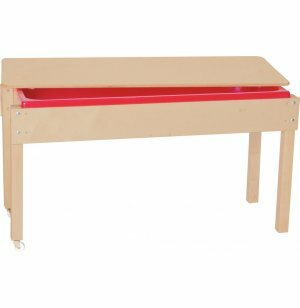 Conveniently Sized: These 24"-high activity tables are appropriate for kindergarten or elementary school students. Roomy: The 6”-deep tub keeps materials inside and minimizes spilling. 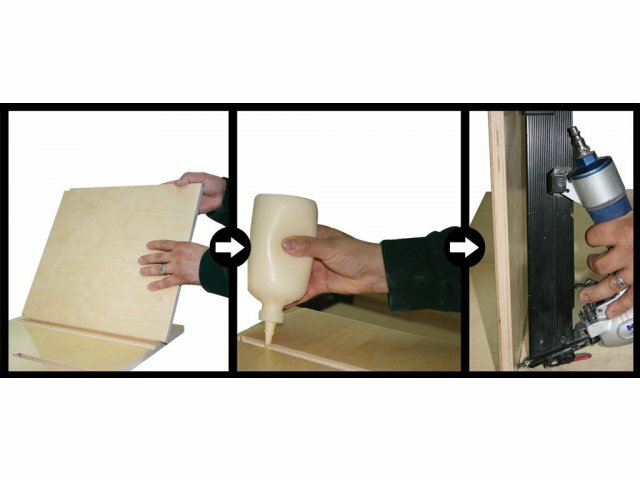 Multipurpose Lid: Wooden lid preserves contents, and doubles as a work surface. Easy Draining: A built-in drain plug enables you empty the bin easily, without having to tip over the whole table or scoop out contents. Versatile: Use with a variety of sensory materials including sand, water, rice and cereal. Solid Materials: Frames are constructed by experienced craftsmen from 100% birch plywood (including backs and shelves), using mortise, glue and steel pin construction. Convenient Design: Casters on two legs facilitate easy mobility and tilting for draining purposes. Attractive Finish: Greenguard Tuff–Gloss™mark; water–based paint finish ensures lasting beauty. 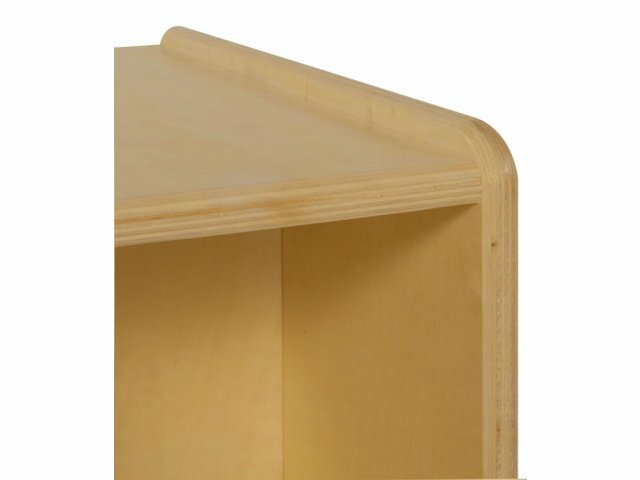 Safety First: Fully sanded and rounded corners and edges prevent splinters and other injuries. Wide Selection: The selection of sizes and styles is appropriate for children of many ages. Healthy: No formaldehyde, lead, phthalates or VOCs.